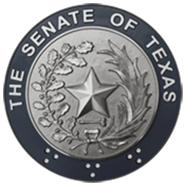 (AUSTIN) — The Senate will put more money towards education, mental health and transportation, according to the chamber's chief budget writer, Finance Committee Chair and Flower Mound Senator Jane Nelson. The state is in better shape economically than in January 2017, where state revenue collections had decreased nearly a percent over the previous biennium. Less revenue means a tighter budget, but that's not the case this session, with strong economic growth leading to nearly $120 billion in available general revenue, according to the Comptroller's office. That's up from a little less than $105 billion two years ago. The budget filed late Tuesday is an increase of $8.4 billion over last biennium, for a total of $112 billion in general, non-dedicated revenue for state services in 2020 and 2021. In a statement released Tuesday, Nelson said that past conservative budgets have left the state in great economic shape today. "Our commitment to fiscal responsibility is paying major dividends, affording us an opportunity to secure the Texas miracle for generations to come. This budget makes targeted investments in education, including a well-deserved pay raise for Texas teachers, and continues our work on transportation, mental health and other key priorities," her statement read. The Senate's budget includes more funding for public education, including $3.7 billion for a $5000 across-the-board teacher pay raise and $2.4 billion to fund enrollment growth of about 65,000 new students. It also includes $2.3 billion to reduce reliance on property taxes and recapture, known more commonly as the "Robin Hood" system of public school finance. Finally, it would earmark $230 million to maintain current premiums and benefits for retired teachers. For health and human services, the Senate budget would spend a total of $7.5 billion across 21 state agencies to improve access to mental health care and reduce waitlists. It would fund women's health programs at a record level of $285 million and would include funding to maintain current caseloads at Child Protective Services. Because the Legislature budgets for the future, every session lawmakers have to reconcile accounts between projected costs and revenues and actual costs and revenues. This session, the Senate will consider $4.2 billion for that purpose as detailed in the supplemental appropriations bill, SB 500. That includes $1 billion for Harvey disaster recovery, $2.1 billion for the Medicaid Shortfall and $600 million to address pension shortfalls for teachers and state employees. It would draw $2.5 billion out of the state's Economic Stabilization Fund to help pay for these and other expenses. The Governor must sign a budget before the Legislature leaves in late May, and what passes will be the result of negotiations between the House and Senate. In 2017, the Senate proposed spending $103 billion that January, but the final budget signed by the Governor totaled almost $108 billion. This year, the House filed budget would spend $115 billion, about $3 billion more than the Senate. Both chambers historically pass their appropriations bill by late March or early April in order to give House and Senate negotiators enough time to reconcile the two versions of the state budget for the next two years.